If you are thinking of revamping your outdoor area to install play equipment for children there are a few things you should consider to ensure the safety of young ones, and those young at heart! 1. Check the play area – Ensure the area where you intend to install the play equipment is clear and free of any hazardous items like loose rocks, nails or other debris that may cause accident or injury. You should also check the position of the play area from various viewpoints both inside and outside your home to ensure that you have a clear viewpoint of where children will be playing at all times. This grassy backyard is the perfect area for a childrens play area and offers entertainment for the kids while the adults enjoy some downtime in the outdoor living area. 2. Choose child-safe materials – Children are notoriously experimental when it comes to the world around them. If it doesn’t first go in their mouth they are soon making all sorts of weird and wonderful things with the bits and pieces they find on the ground and around their play areas. This can lead to serious health issues if the materials they find contain potentially lethal substances such as lead. Always check the labels on products and materials you are selecting just to be sure. 3. Look for quality play sets and check it twice – While children’s play equipment is constructed with safety in mind as a parent you always want to step it up a notch and set your own safety standards. Check play areas for sharp edges and if they can’t be removed cover the area with thick rubber to make it safe for children to use. Heavy duty rubber mats are also ideal underneath play equipment to reduce the impact of falls and at the bottom of slides to minimise the risk of injury. 4. Install safety railings – We insist that workmen use scaffolding and safety rails, so why don’t we insist on it for our children who are much more exposed and unaware of the dangers around them. Play equipment that includes slides are an accident waiting to happen with smaller children climbing to reach the top and pushing each other to get there first. Safety railings give you added peace of mind and give your children extra protection from falling down. 5. Maintenance is paramount – Check play equipment weekly for breaks, weak spots and potential hazards. Loose areas should be fixed immediately before children plan in the area. Dangling ropes should always be carefully checked to ensure they are firmly attached and secure, for added safety remove ropes from access when children have finished playing. Play areas are an ideal way to keep little ones entertained while you enjoy a BBQ on the patio or an afternoon with a few friends sitting under your verandah. Ensuring play areas are safe makes the backyard a fun place for the whole family. 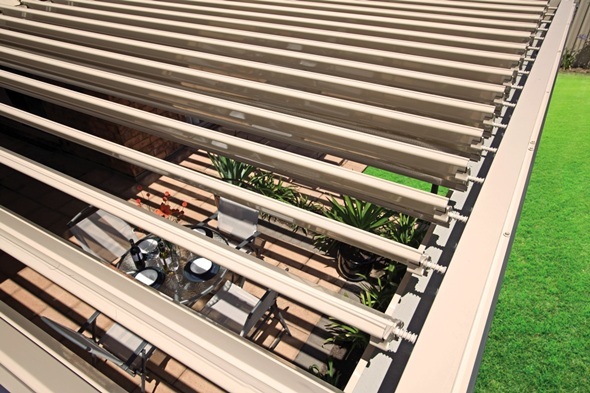 For more information on Strong Life Patios & Carports range of products, including our pergolas and automatic sunroofs, visit our website for a FREE Quote or Call 03 9310 4455. Patio furniture is one of the hardest pieces of furniture to keep clean because it is always exposed to the elements – wind, rain and everything else that the harsh Australian climate can throw at it. So how can you make sure your patio furniture stays in ‘ready to use’ condition? Many think that with a good downpour of rain comes a good clean, but this is not the case. Heavy rain brings with it dirt and debris which only add to the problem, and soap and water never fall from the sky together, so your patio furniture unfortunately cannot get clean by merely sitting there. Furthermore, long intervals between cleaning patio furniture can make it even more difficult to remove dirt and grime, so to make the job easier and quicker, aim to give your patio furniture a good wash down weekly or at most fortnightly. At the same time you can check for signs of rust on chairs and inspect cushioning for holes or tears that may need fixing. Repairing damage as soon as it happens will help to extend the lifespan of your outdoor furniture and prevent damage from becoming worse in the long run. It will also save you the embarrassment of your patio furniture falling apart mid-way through entertaining! Use warm water and a small amount of mild detergent. Scrub the entire surface with soapy water. Rinse with clear water to remove soap residue. Once cleaned raw aluminium furniture can have a metal polish applied which will leave a nice shine and maintain the cleanliness of the furniture for longer. Plastic outdoor furniture is very popular because its easy to clean, affordable and durable. Cleaning is similar to aluminium furniture and can be done with mild soap and water (minus the metal polish). For sturdier plastic furniture you could also consider using a karcher of other high pressure powered hose to remove loose dirt and debris. Plastic furniture can be left in the sun to dry and to maintain it in good shape for years to come, consider moving it indoors, or out of the elements during Winter months. Wood is a softer, and some may say more attractive, material to use for outdoor furniture. The natural look of solid wood furniture is often seen on pool decks and if properly maintained can last a lifetime. Wood can be washed with warm soapy water and ideally needs to be dried before going into direct sunlight. It’s also advisable to treat wood first with a stain or protector oil to prevent it from drying out and splitting in hot weather, and absorbing too much water in wetter periods. Ideally wooden furniture should be stored inside during winter. 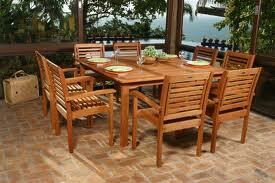 Overall most people are capable of cleaning and repairing patio furniture themselves. Unless the furniture is plastic, which is generally unfixable (like a broken leg on a plastic chair), then wooden and aluminium pieces that have slight defects should be able to be fixed. Strong Life Patios and Carports blog focuses on all areas of home improvement and the latest trends available for your home. If you would like a FREE Quote on a Strong Life Patio, Carport, Veranda, Gazebo or Outdoor Entertaining Area, simply call 03 9310 4455 or enquire online here. 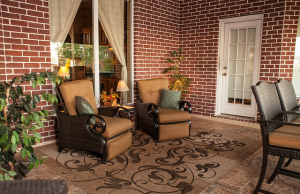 A patio area is the ideal area to kick back and spend quality time with your family. But living in Melbourne can often mean we are restricted from enjoying our outdoor entertaining ideas to certain time of the year. In the town where there are 4 seasons in a day it can be hard to guarantee enjoyment of your deck when a cold wind is blowing. Or on those crisp winters nights, when you have been couped up in an office all day and you would love nothing more than to be able to sit outside and enjoy the fresh air; but it’s just tool cold to bring yourself to leave your cosy lounge room. However now there is a way for you to appreciate every day in your outdoor area, day or night, you can if you have a backyard porch & patio heater heater. Previously, patio heaters weren’t considered to be particularly effective. In a cold climate and breezy conditions they were unable to warm-up the area, though nowadays, Patio heaters are much more sophisticated and can heat a wide radius even when placed in a fairly cold environment. What are the features and benefits of patio heaters? As the label indicates, LPG outside patio warmers work with the assistance of LP gas. Basically, there are generally 2 types: 1 uses an LPG tube to hook to a large lpg reservoir and the alternative one uses a throwaway propane container unit with far less capacity. These are fairly effortless to assemble and you can do it yourself at home without needing to call a professional. Propane outdoor warmers are easy to run and these days can warm an area of more than fifteen feet in diameter. For most this amount of heat is more than enough, but if you have a particularly outdoor space, placing two heaters on your patio, one at either end will circulate the heat evenly and ensure you stay warm even on the coolest of nights. Natural gas outdoor warmers utilise a safer and cleaner alternative for fuel. Although the setup expenses are generally high, the fuel is extremely efficient. You can either use a supply line or a gas canister. 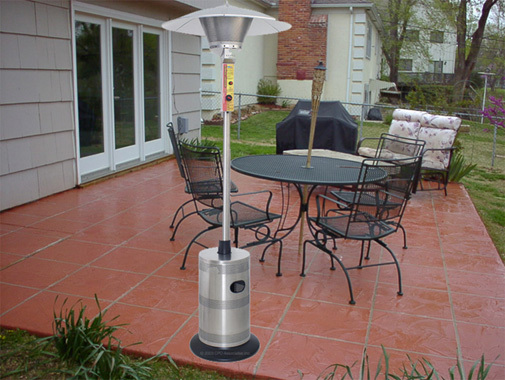 The canister alternative allows the outdoor heater to be repositioned from 1 location to another, while a supply line would require the patio heater to remain stationary. Stronglife Patios and Carports is offering every customer a brand new patio heater with every order. Call 03 9310 4455 Now for a Free Quote. Lighting plays an essential role in Patio functionality, as it can have multiple roles: It adds attractiveness, provides security and allows you to use your backyard well into the night time. Even though Patio lighting design can seem difficult, you don’t necessarily need the help of a designer to create a delightfully lit space. Having a well-designed outdoor space can turn your house into a home, adding curb appeal and even more value to its worth. The key to creating beautiful outdoor lighting is to plan ahead. First think about what purpose the lighting will serve. Whatever you choose should enhance the beauty of the property, so you’ll want to look for lighting fixtures that blend in with the architectural style of your home. What benefits to my Patio do different lighting options provide? Different areas of your house may need different kinds of lighting depending on the function of the lights. A well-lit front entrance provides safety and security. Lighted paths give visitors clear access to the house, and a brightly lit front door allows you to be able to clearly identify them before letting them in. Lighting shadowy areas of your home, such as corners, provides more security and prevents people from sneaking around your home without being seen. Why all the fuss about Patio Lighting? Entertaining is a major reason to have a beautiful outdoor space, and outdoor rooms have become an essential part of the home. Good lighting allows you to take full advantage of your outdoor space at night. Whether it’s to cook, highlight features in your yard or add a touch of romance, lighting can instantly create the proper mood. plus a 15 year Manufacturers Warranty and 10 year workmanship guarantee. 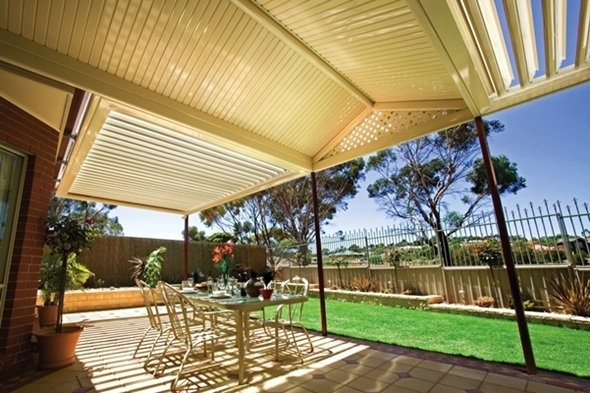 For a FREE QUOTE on Patio installation call Stronglife Patios & Carports on (03) 9310 4455 -TODAY! Choosing a location for your patio is a difficult decision that requires you to weigh up the pros and cons of each alternative. Placing your patio next to a detached garage is a good way to take advantage of the shade. Having your patio adjacent to our house opens up service areas of your home when entertaining guests. Getting a nice coffee or bringing dinner items back and forth from the kitchen will be a lot easier if your patio is adjacent to your home, particularly in bad weather conditions. If you want to save money by avoiding purchasing an outdoor entertainment centre, having your patio adjacent o your home will allow you to enjoy the music without irritating the neighbours with excessively high volumes. We all enjoy the great outdoors and the absence of indoor comforts can make outdoor patio spaces feel impersonal. To make the space more intimate and inviting you should add a wall like structure. Outdoor living naturally creates a carefree and casual environment, but you need appropriate furniture to make things more comfortable. Your patio will feel as good as it looks after adding appropriate outdoor lounge chairs, cushions, and sofas with overstuffed cushions that use UV resistant materials. You want to create a balance with the furnishings and the rough hard surfaces such as concrete sidings, brick and wood. Patios are the ideal place to enjoy warm summer evenings without spending a fortune on air conditioning! However if you want to really enjoy it at night you are going to need appropriate and sufficient lighting. Solar lighting is relatively inexpensive and available in a range of styles to suite just about any location. They will not only add comfort, they will provide safety and help your guests to avoid tripping on things at night when going back and forth from your home to the patio. When you make your outdoor living space look integrated into its surroundings you increase your properties curb appeal, making it a great selling point which will add value to your home if and when it comes time to sell. Stronglife Carports will endure the harsh Australian climate and still look excellent decades after installation-. 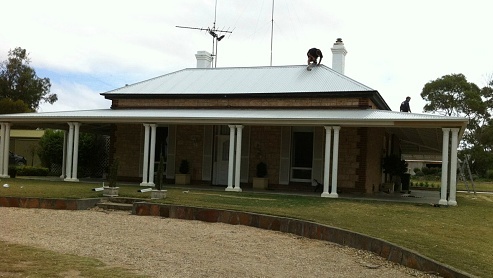 For a FREE QUOTE call Stronglife Patios & Carports on (03) 9310 4455 -TODAY! If you have been looking for a highly affordable solution for protecting your vehicle from weather damage, carports are an excellent choice. You can have a carport installed for a fraction of the price of a typical garage, completed in under a day! Carports can be built as an independent structure or integrated into an external wall of your home. Carports also come in a wide variety of styles to suit just about any property. Melbourne’s weather can be highly unpredictable with hail and wind related damage costing thousands in vehicle repair costs each year. Carports are a great solution for protecting your vehicle against damage from weather extremes, in addition to gradual damage from the sun which can be highly damaging to a fully exposed vehicle. There is also the convenience of not having to get into a boiling hot car after a particularly hot day and having a sheltered area for unloading goods when it is raining. When not in use by vehicle carports can serve as a storage space area for your home. With a some basic furniture you can also turn it into a sheltered outdoor entertainment space – perfect for BBQ’s or other backyard events. All Stronglife Carport products are fully backed by our Famous Five Guarantee plus a 15 year Manufacturers Warranty and 10 year workmanship guarantee. Your home needs to be a comfortable place, and installing a patio where you can unwind and enjoy time with family and friends, can be a very cost effective way to enjoy the outdoors with them and add value to your home. Having an outdoor area to entertain guests in and show off your garden can be a strong selling point in the tough Melbourne property market and will consistently create the impression of a home you can settle down in. How can a Patio add value to my home? Patios are a very common feature of Melbourne homes, they can be built in a variety of styles and materials to compliment and home and budget. They can create a picturesque first impression of your home and are becoming a staple in the social lifestyle of Melbourne. In addition, your patio will provide a cooling effect on the home by shielding your primary living areas against the sun on hot days, providing an alternative to air conditioning saving a fortune on power bills! What are the main benefits of a Patio? On top of being an ideal space to entertain friends and family, your patio can double as an additional dining area, it can be a space for you to host backyard parties or simply use it as a space to relax and admire your garden. Install a propane heater and continue enjoying the outdoors throughout winter. Stronglife provide a variety of patio design and colour combinations for each of the outdoor entertaining area solutions below. We only work with Australia’s highest quality, Stratco Outback products. Design freedom is central to the versatile Stratco Outback™ range a complete system has been designed which means all of the styles displayed on the following pages can be combined into a format that will suit your home, lifestyle and budget. All Stronglife Patios and Carports products are fully backed by our Famous Five Guarantee plus a 15 year Manufacturers Warranty and 10 year workmanship guarantee. Stronglife Patio and Carport products will endure the harsh Australian climate and still look excellent decades after installation. For a FREE QUOTE call Stronglife Patios & Carports on (03) 9310 4455 -TODAY!